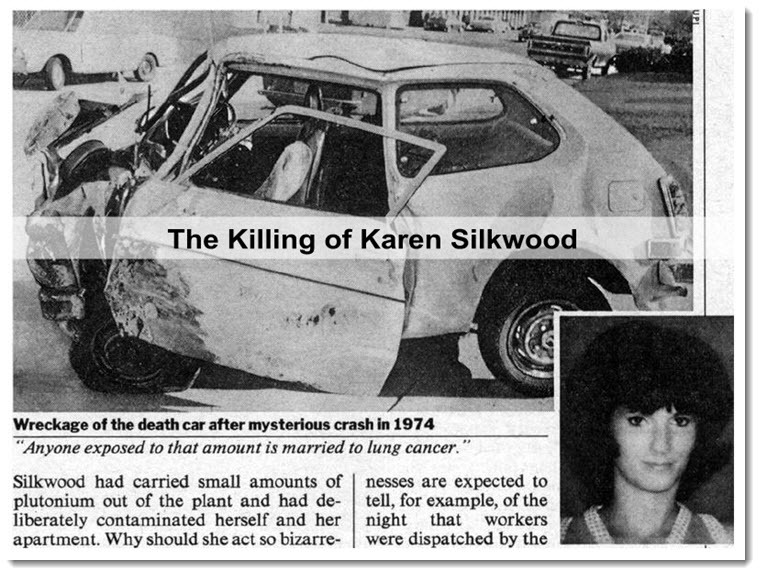 The Death of Karen Silkwood | An accident or murder? | What really happened? Michael’s words moved me deeply. Didn’t he have the right to know the truth about his mother–a truth that is still buried in classified documents? When News 9 asked to interview me for a follow-up investigative story on the killing of Karen Silkwood, I gladly agreed. The day after the story aired, News 9 heard from a woman with a tip who wanted to speak to me. To my surprise, the tipster was the daughter of Thomas Bunting. A former Air Force intelligence officer, Thomas Bunting was an agent in the Oklahoma State Bureau of Investigation during the time (1972-1974) Silkwood worked at the Kerr-McGee Cimarron plant in Crescent, Oklahoma. Bunting was supervisor of the Oklahoma State Bureau of Investigation’s criminal conspiracies unit and taught photographic and electronic surveillance. Given his top security clearance, he would know not only how OSBI spied on Karen Silkwood, but also who had followed her and nudged her Honda off the road and into a cement wall on November 13, 1974. The legal team hired by the Silkwood family to sue Kerr-McGee couldn’t wait to subpoena OSBI Special Agent Thomas Bunting. Bunting’s daughter Lynn told me in a phone conversation that her father wanted to duck the subpoena. If he couldn’t, he said he would either refuse to answer questions under the guise of “national security” or he would take the fifth. But after much soul-searching, and a visit to his mother for a heart-to-heart, Lynn told me, her father decided to do the right thing. He was prepared to speak honestly and truthfully. He said he understood that the truth would make him a pariah in the intelligence community–a whistleblower like Karen Silkwood. Knowing firsthand what that intelligence community was capable of, he was worried about retaliation against him and his family. Before Bunting could be deposed, he walked into his brother’s home for a visit and dropped dead. A doctor ruled that he had died of a heart attack, apparently induced by a cerebral hemorrhage. Bunting was forty-four years old. He had not been ill and had undergone a recent physical examination which revealed that he didn’t have a heart condition. Bunting’s second wife, Sue, declined an autopsy. His first wife, who found her former husband’s death highly suspicious, had begged for one. Lynn told me that not long before his death, Bunting had revised his insurance policy, making Sue the sole beneficiary of all his assets and police death benefits. Several months after her husband’s death, Sue was found dead in her car, which was parked in her garage with the motor running. Her blood alcohol was extremely high. Her death was ruled a suicide. Bunting’s daughter Lynn is convinced her father was murdered. Was her stepmother Sue a co-conspirator in the death of her father, Lynn asked? Did someone, in turn, murder her because she was attempting to blackmail her fellow conspirator(s)? When Lynn asked several Oklahoma City Police Department officers–who knew and respected her father–what had really happened, they told her that they couldn’t talk about the Karen Silkwood case. If they did, they would be fired. As each anniversary of Karen Sikwood’s death slips by, people like Thomas Bunting, who may have known something about her fatal car crash, have also died. Except for Michael Silkwood, his two sisters, some close relatives, and the citizens of Oklahoma, the killing of Karen Silkwood becomes more and more forgotten. Some may want to explore this intriguing story even further. Here is a link to the book page. Once you start reading I believe that it will be a hard book to put down. You may also be interested in The Whistleblower’s Dilemma.